full time year round management personnel for a career with the largest landscape supply company in the Northeast. is a must. Position available in Somerset, New Jersey. 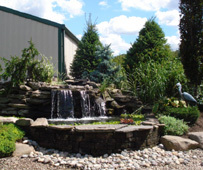 We provide a one stop shopping experience for landscapers; where they can select all the plants and related goods to complete residential or commercial landscapes. 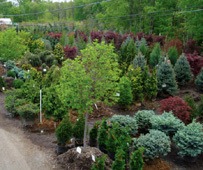 Northern Nurseries has the largest selection of trees, evergreens, flowering shrubs and perennials in the Northeast. 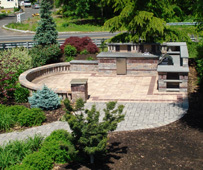 In addition, we offer a large selection of pavers, grass seed, fertilizers, soil conditioners and more. We are one of the fastest growing companies in the industry. We offer, training, career development programs, exceptional salary, 401 k, medical programs and much more. Apply today for an exciting career. Cottontail Lane. Follow Cottontail Lane to the end (approx. 2 miles) & take a left onto Schoolhouse Rd. Go down approx. 1/4 mile and take a right on to Elizabeth Ave. Location of nursery is on the left. Northern Nurseries e-mails advertising flyers and special lists to our customers.